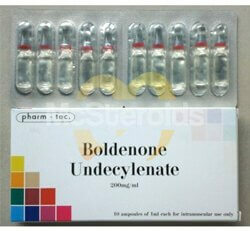 Boldenone undecylenate is more commonly known with the name Equipoise, ambulance help or just EQ for short. It is actually a veterinarian steroid that was manufactured and developed by CIBA, try which was supposedly to be an injectable version of Dianabol, but with long-acting properties. Although, it works nothing like Dianabol. 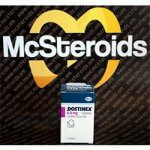 The original intention of Boldenone Undecylenate or Equipoise is to be used on cattle and horses. Generally, Boldenone undecylenate comes in the form of oil suspension to be injected into the horses or cattle every 6 weeks. In fact, there is not a single government in the world that approves the use of Boldenone Undecylenate or Equipoise for humans, Most of the Equipoise produced are either manufactured by veterinarian labs, or underground steroid labs that supply steroids for the black market.  Keep in mind, that although Boldenone Undecylenate or Equipoise was developed for animals, it is proven to be a strong anabolic steroid when used by humans. If you inspect boldenone in theory, one would tend to believe that it is almost as same as dianabol, except for one major difference. Dianabol is a 17AA hormone to be taken orally, and the half-life for it is 8 hours, while Equipoise/ Boldenone has very long undecylenate ester that had been attached to it to make it injectable in the form of a soluble oil, and it is far longer acting compared to Dianabol. As soon as it is injected into your system, the enzymes will break down the long ester chain from the Equipoise hormone, until the pure hormone form is left, where it would be able to interect with the adrogenic receptors in the muscles. Back in the day, Equipoise or Boldenone Undecylenate was used due to its availability from Mexican veterinary. 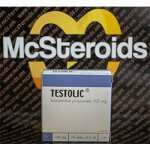 Today, with plenty of other anabolic steroids available, it has lost its popularity. 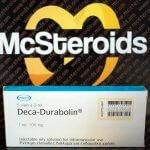 It has the same anabolic properties of trenbolone, deca, primobolan, or masteron. Side effects wise, Masteron or Primobolan has far less compared to it. It does however have advantage in a sense that it has moderate conversion rate to estrogen compared to the others. Although today Boldenone Undecylenate or Equipoise is considered to be one of the weaker anabolic steroids in bodybuilding, it is however growing in popularity once again alongside primobolan and masteron. Many bodybuilders love Boldenone because it helps to boost one’s appetite, which is very helpful for those who are on a bulking cycle. 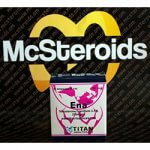 It is, in fact, the most powerful appetite booster compared to any other anabolic steroids. At higher dosage, Boldenone can be pretty powerful. Another benefit of Boldenone Undecylenate or Equipoise is that it aromatise lesser compared to other testosterone anabolic steroids. This means that users do not need to worry of onset side effects such as gynecomastia, water retention, or other estrogen related side effects. As aforementioned, one of the most attractive benefit of Boldenone Undecylenate is the huge increase of appetite. This could prove to be useful for those who find it hard to eat more than they usually do. It could also be stacked with stronger anabolic steroids for those who are used to heavy cycles that might supress appetite. Boldenone also helps to increase vascularity and improve the transportation of oxygen throughout the body. 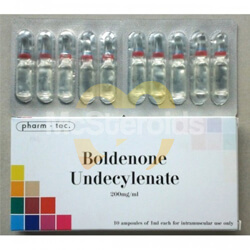 Boldenone Undecylenate or Equipoise is a mild anabolic steroids which has little side effects, but they still do have some – just like any other steroid would. 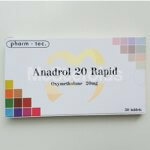 The side effects are the common anabolic steroids related supplements such as unusual hair loss, unnatural hair growth, deepening of the voice, prostate related problems, oily skin and acne. Acne is a common problem that users might face, and it grows on the chest, back and shoulders. This can be prevented by using acne-soap or anti-bacterial soap. 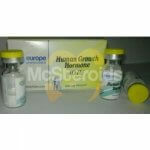 Due to its mild nature, it is best to stack Boldenone with other stronger anabolic steroids. Beginner cycles could consist of Equipoise/ Boldenone, Dianabol and Test E, or if you are looking for low side effects cycle could stack Boldenone with Primobolan and Anavar. The average dosage is roughly around 600 mg to 1000 mg per week.